On April 1st, 2009 at 11:00 pm, my water broke. I had taken a shower and had the house in pretty good shape. That evening I had done a few acupressure points. I don't know if that influenced things, but about an hour after doing them, I was lying in bed and I felt a pop and a flow. I yelled to Jeremy who was watching t.v. in the living room, and we excitedly got ready for the hospital. 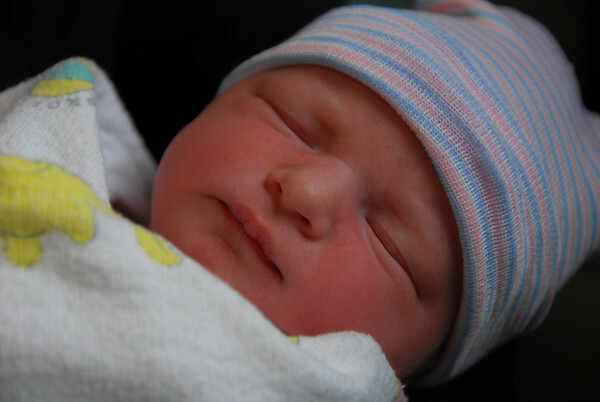 Lori came over to be with Abigail overnight, and we arrived at the hospital at 12:00 pm on April 2nd. I was 2.5 cm dialated and 50% efaced when they checked me in to the hospital. We checked in, but I wasn't really experiencing labor contractions. They were happening, but they just felt like the Braxton Hicks variety. So, the nurse informed me that they would want to start me on pitocin to help my body kick in the labor process because they fear infection after the water has broken. We bought a bit of time to walk around. However, I felt like we were just prolonging the inevitable since nothing was happening. So, at 2:15 I was given a small dose of pitocin and the contractions began. 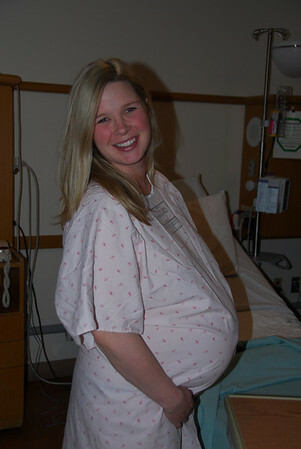 My body quickly kicked in to begin contracting on its own, so the pitocin was turned off, and I began to labor on my own. Last time I was so determined to go natural, and was disappointed when it didn't happen. However, after experiencing the epidural, I knew I would like to go that route this time around. So, when the pain was getting more intense around 4:15 am, I asked to be given the epidural. They checked, and I was at 4 cm at this point, so I was at the point where I could get an epidural. They explained that the anesthesiologist was in a C-Section with twins that would probably take 1.5 hours. Then, I had two women who were way ahead of me in the labor process, so I would have to wait. So, I settled in mentally for another long labor and quite a bit of pain before the relief began. My contractions at that point changed from being consistent to have a large gap and then a more intense contraction. I went through about three or four rounds like that when all of the sudden the worst contraction of all hit. I quickly took on the roll you see in any move. Screaming for nurses to come. Grasping the sides of the bed and and my husband's hand. I was screaming and demanding the anesthesiologist and the epidural immediately. I was begging . The nurse checked me and said that I would not be getting an epidural; I would be having a baby. The sudden rush of doctors and nurses began as Jeremy informed we that the head was right there. I was confused, in pain and still screaming for relief. Everyone was shocked at the quick progress and there was no time for any prep - just for the big push. I pushed for probably 1 minute and Kenzie Joy Durr was born at 5:11 am. 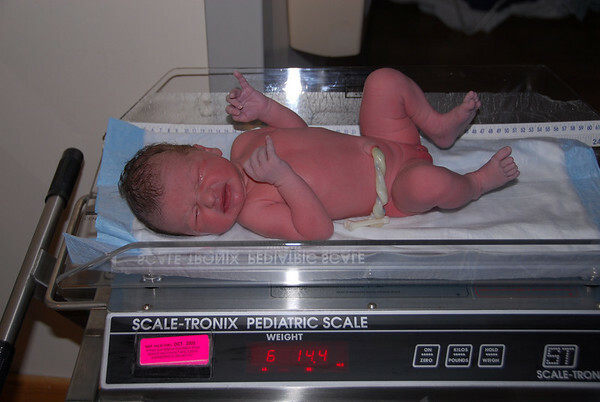 Kenzie was 19 inches long and 6 lbs 14 oz. She checks out perfectly, which is always a relief after months of praying for that outcome. She has a lot of dark hair and super long fingers and toes/feet. She has similarities to Abigail but definitely looks a lot different at the same time. We love her so much already.